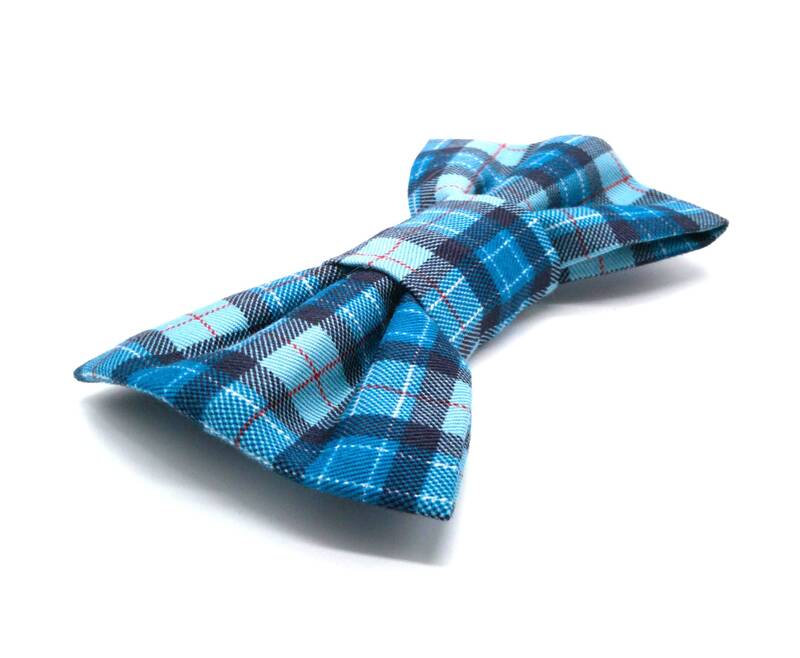 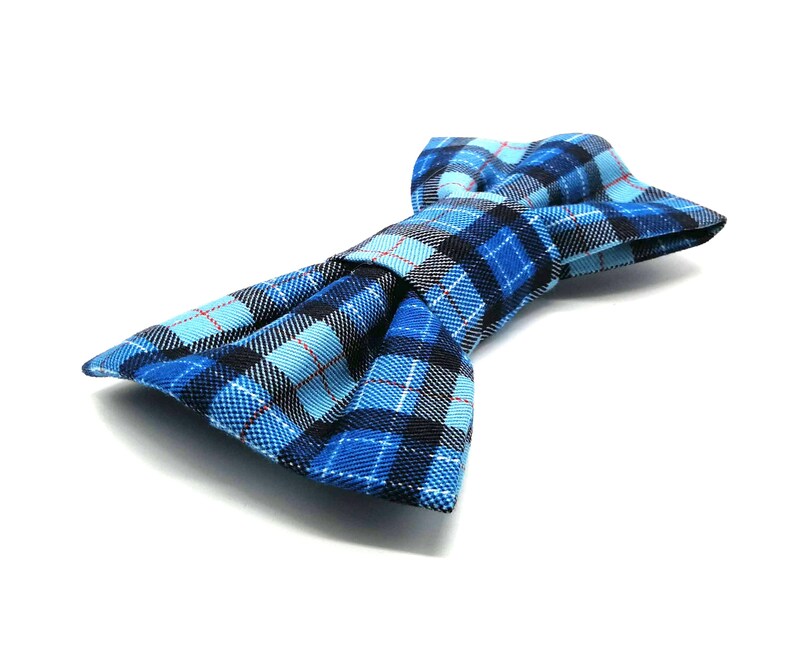 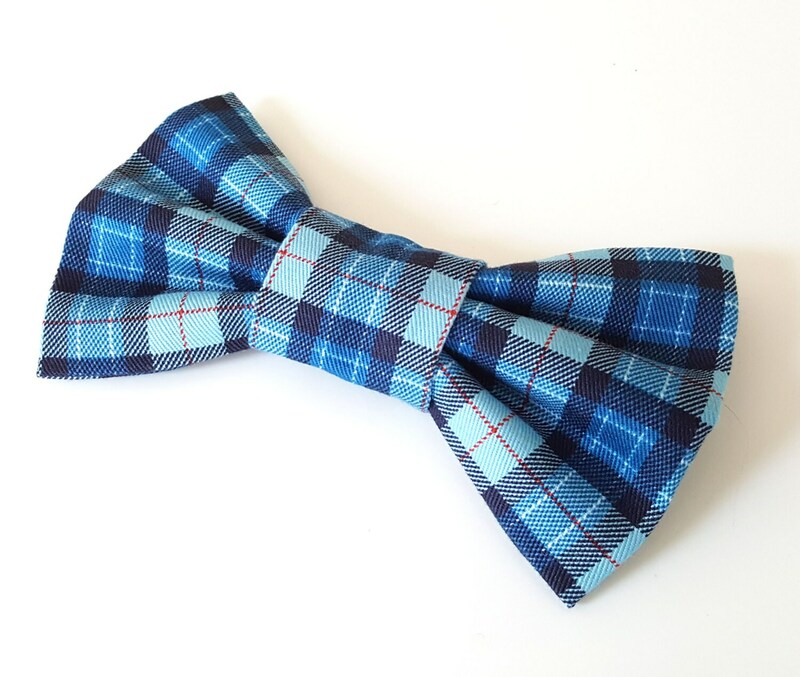 This blue plaid check dog bow tie is a definite for the fashionable dog in your life. 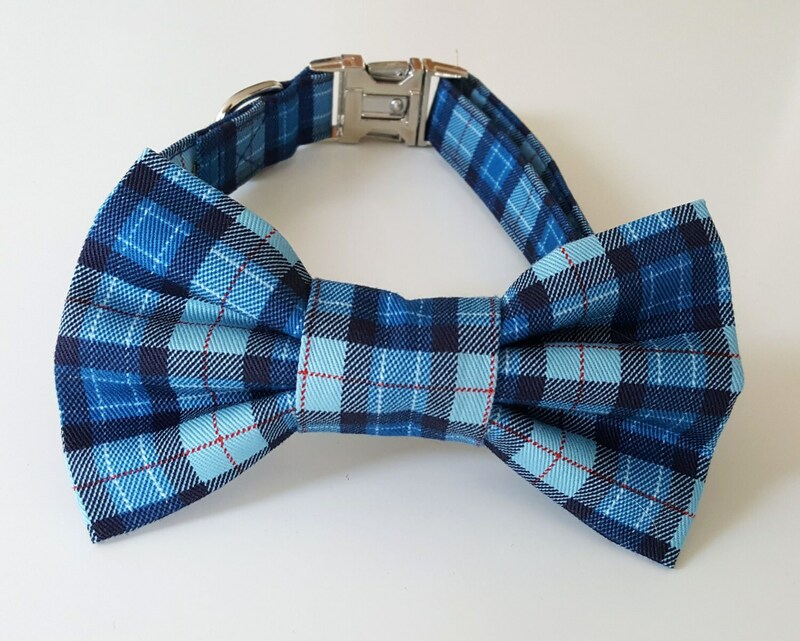 Simply slide on your your existing collar or onto a matching collar. 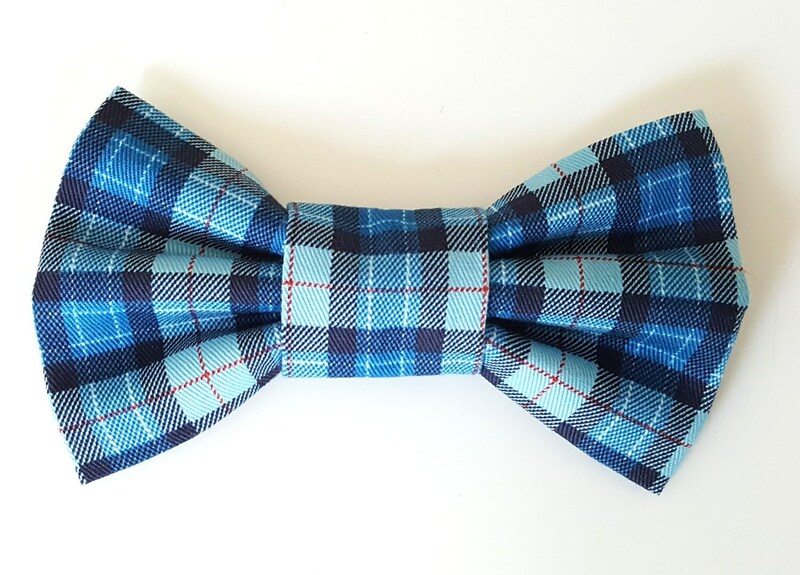 They are a great accessory for your dog and measures approx 15 x 8 cms at the widest part. 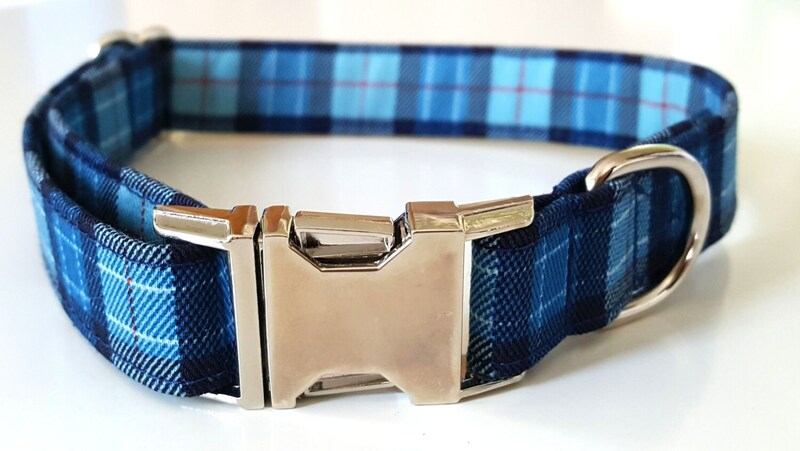 It slides onto a 3/4" or 1" width collar.